For a refreshing coastal update, the Pebble Beach pillow pair is perfect for your space! Rich coral and aqua colors play into the starfish and coral motifs for a textured look, adding color to the classic coastal look. 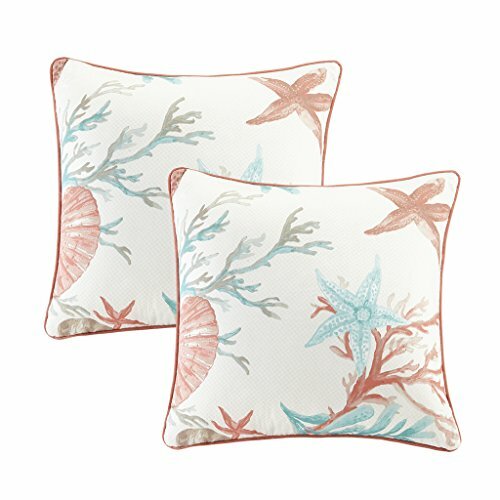 These cotton blend pillows are accented with solid coral piping and reverse, features polyester filling for comfort, and comes in a pair for a complete look. If you have any questions about this product by Madison Park, contact us by completing and submitting the form below. If you are looking for a specif part number, please include it with your message.